Make Music Nashville at Brookdale Green Hills Cumberland from Belmont University in Nashville, Tenn. June 21, 2017. Senior songwriting and music business major Emily Falvey sat on a piano bench and readied her fingers. She took a deep breath, moved towards the microphone and began singing to the crowd, a group of residents from the Heritage in Brentwood, a local senior citizens home. The facility was full of listeners, all eager to hear the story Falvey told through her words — but it wasn’t her story she was telling. As a part of Make Music Nashville, the city’s version of the global June 21 Make Music Day, Falvey and a group of her songwriting classmates visited two senior citizen facilities in Nashville — The Heritage and Brookdale in Green Hills — to gain inspiration from a group who, as Tealy put it, have lived a bit more life. 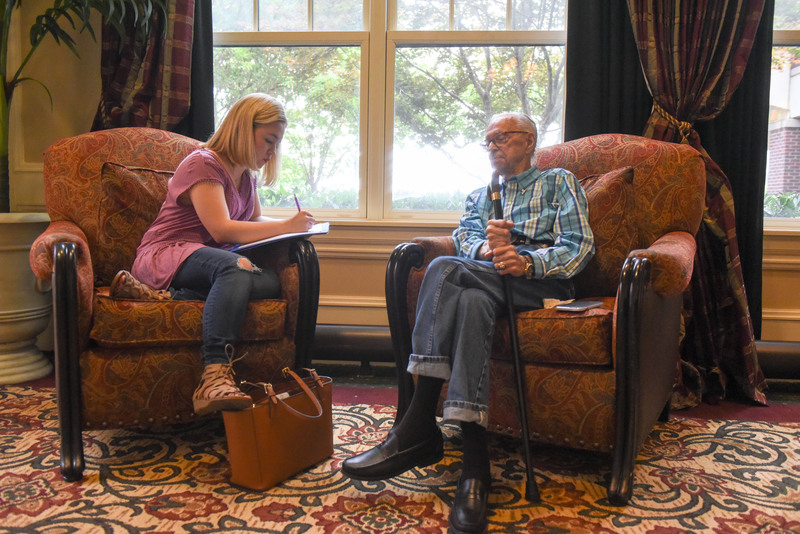 Earlier Wednesday morning, the students visited the facilities and interviewed residents, learning more about their stories, families and values. Later that evening, the songwriters returned to both locations and performed their original pieces, inspired by the lives of their new friends.